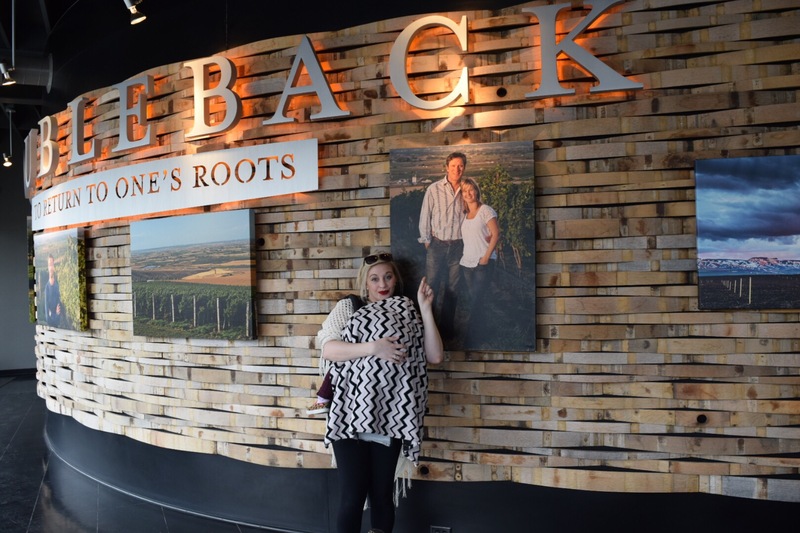 Doubleback Winery Tasting Room in Walla Walla, WA – Abbey Co. If you are a football fan, then you know Drew Bledsoe. Bledsoe had an incredible NFL career with the New England Patriots, leaving him a house name and hall-of-famer. Interesting enough, Bledsoe is a name known in the wine industry, for completely unrelated reasons. Drew was actually born and raised in Walla Walla, Washington…. Washington State’s wine country that rivals wine quality and volume you would see out of Napa Valley. He played for Washington State University for 3 years before being scooped up by the NFL. After a career-ending injury, Bledsoe was left with to decide on a new passion to pursue, which lead him back to Walla Walla valley. Drew planted his own estate vineyard in 2007, and has been producing high-class wines ever since. Drew Bledsoe was the quarterback hero of my childhood… I was a huge fan! So obviously, when my husband informed me he actually owns a Washington State vineyard that I could visit, I was THRILLED with the idea! I figured it was not likely I would get to meet my football (and now wine) idol, but the fact I had the chance to be involved with the winery was cool enough for me. 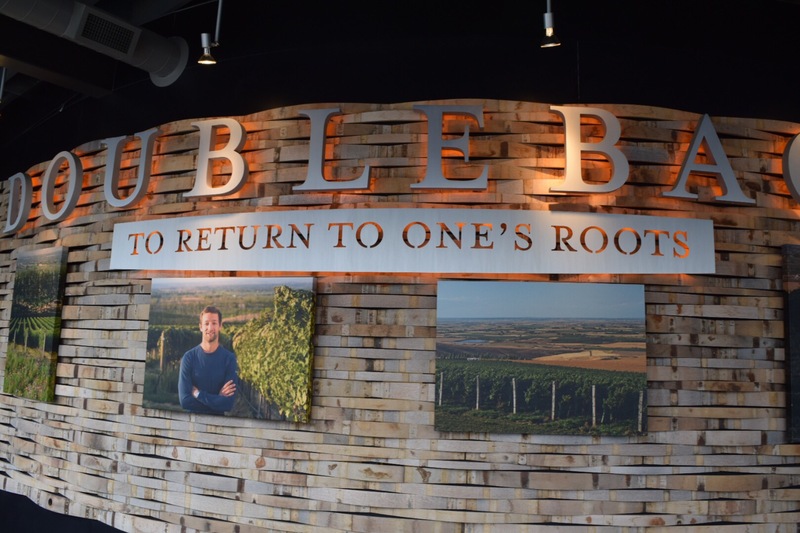 His winery features two brands – Doubleback as their flagship and Bledsoe Family Winery. For starters, they are pretty exclusive to taste with. Their tasting room is located downtown Walla Walla, by appointment only. The location is deceiving in that it would appear you could walk up and taste, but that is not in fact the case. Since our tasting it however sounds like they are opening an actual winery where you can go taste instead of the tasting room… an opportunity I am quite excited for! The tasting was 100% private and and at first seemed a little gimmicky… at the time of our tasting the only way to become a wine club member was to purchase a case of the Doubleback Cabernet Sauvignon (which happens to simultaneously enter you to play in Bledsoe’s annual golf tournament). Based off that initial information I did not expect a whole lot from the winery and assumed the point to tasting at Doubleback was purely to meet a football legend. This however was not the case at all. Firstly, the Bledsoe Family lineup is said to be more social ‘table’wine’ kind of feel, and everything I tasted from them was fantastic. Every bottle was a perfect sipper, especially their Rose on a hot summer day or their red blend “family wine” with a big Italian dinner and a table full of guests. At Doubleback the Cabernet is said to be their shining star, and it totally is. This wine is on the absolute top of favorite Cabs that we have, and honestly I would buy a case just for drinking – forget golfing with Drew Beldsoe! The only disadvantage of the Doubleback Cab is that it is quite expensive, I want to say $150 a bottle. The Bledsoe Family lineup was much more affordable, but still a pretty penny compared to other wineries in the area. Despite the cost, we still brought home quite a few bottles to enjoy. Both wines are not readily available to purchase, so it now has been years since our last glass of Doubleback, and we are regretting not bringing home more. I think another trip to Walla Walla may be in the cards for us this year! The closest I came to meeting Drew Bledsoe (yes I have a napping toddler strapped to me). 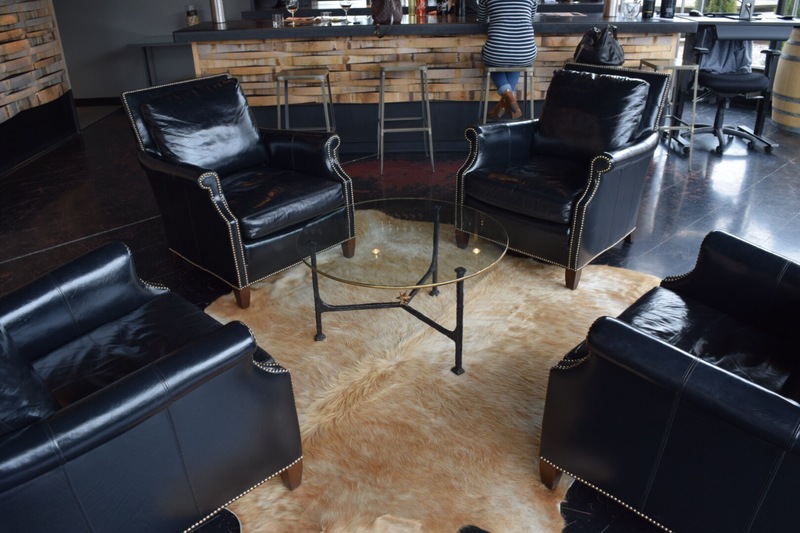 The tasting room was small but had a very upscale feel with the dark leather and cowhide rugs. Pingback: March 2019 Recap – Abbey Co.